Please mention your favorite magazines on fitness, health, sports, etc. 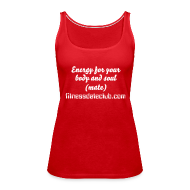 FitnessDateClub.com is an increasingly popular dating community that specializes in health minded singles throughout the world. Currently most members are living in the USA, United Kingdom, Germany, Sweden and South Africa. It is created by former full time musician Martin Dagger following his own experiences on the dating scene in USA and Sweden. Thanks to Kalle Blomqvist of Digimedia for writing the press release and to Martin Lindeskog of Ego Sole Trader for activating social media tools to the press-room page on MyNewsDesk. Terese Alvén of “Spark i Baken“: Thank you very much for your post and the link to our site! Please feel free to give me feedback, write a comment or question. We are planning to create micro pages for different categories, e.g., martial arts, ball games, fitness training, etc. We will also cover news in the health, fitness and dating industry. Are you interested in providing us with material and maybe writing guest blog posts now and then? Please write your interest in comment section. Fitness Date Club is one of the largest sports dating site in the world for fitness singles! So whether your fitness passion is yoga, running, bodybuilding, cycling or some other exercise activity, you are more likely to find a workout partner or a life partner on this online dating site than just about anywhere else. If you’re focused on living an active, healthy life, what better way is there than to have a significant other who feels the same way. 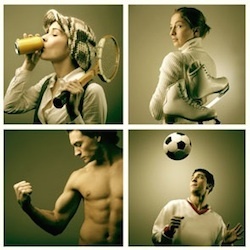 fitnessdateclub.com is one of the Top Dating Service providers in Europe and in the rest of the world. Thousands of successfully matched couples throughout the world are a proof of this and every year millions of new members are taking advantage of the dating opportunities that fitnessdateclub.com has to offer! Online dating market is growing every day and so is fitnessdateclub.com. Thousands of singles are joining the service every day, all of them looking for online dates, online chat, romance or serious long term relationships. They always find their matches here — we have hundreds of success stories sent to us every month. and one of the biggest singles communities in the world. You can find your friends, co-workers, neighbours and of course total strangers looking to meet someone at fitnessdateclub.com as it is a member of DatingFactory.com — the world’s biggest online dating network with millions of users in every corner of the world. It is growing stronger and stronger every day striving to become the world leader in online dating and help every member of its dating community find what they are looking for. to what YOU have to say. Suggestions and feedback from our members is very much welcome — we at fitnessdateclub.com are always trying to improve our dating service and help everyone find their perfect online dates and of course make it to offline relationships. And we at fitnessdateclub.com wish you every success in your online dating journey!